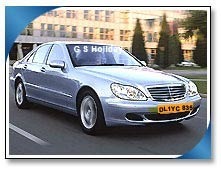 Offering you a complete choice of services which include Mercedes Benz S Class Car Rental, Toyota Camry Car Rental, Toyota Corolla Car Rental and Toyota Innova Car Rental. Our service range includes a wide range of Honda City Car Rental, Tata Indigo Car Rental, Hyundai Sonata Car Rental and Opel Astra Car Rental. 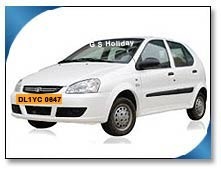 Pioneers in the industry, we offer Tata Indica Car Rental, Tata Sumo Car Rental, Ambassador Car Rental and Toyota Qualis Car Rental from India. 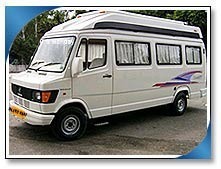 Prominent & Leading Service Provider from New Delhi, we offer Tempo Traveler Rental, 8 Seater Tempo Traveller Car Rental, 9 Seater Tempo Traveler and 12 Seater Tempo Traveller Car Rental. 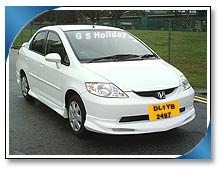 Pioneers in the industry, we offer Toyota Innova Car Rental and 7 Seater Toyota Innova Car Rental from India. Our service range includes a wide range of 9 Seater Tempe Traveller, 12 Seater Tempo Traveler Rental, 18 Seater Coach Rentals, Coach Rentals Services and 23 Seater Coach Rentals. Providing you the best range of Jaipur Bharatpur Agra Package Tours, Mussoorie Hill Station Package Tours, Kashmir Tour Packages and Sikh Pilgrimage Tour with effective & timely delivery. Prominent & Leading Service Provider from New Delhi, we offer Cultural Rajasthan Package Tours, Rajasthan Camel Safari Package Tours, Forts & Palaces Package Tours, Royal Rajasthan Holiday Packages and Pushkar Package Tours. We are a leading Service Provider of Uttaranchal Holiday Packages, Valley of Flowers Package Tours, Nainital Package Tours, Ranikhet Tour Package and River Rafting In Uttaranchal Package Tours from New Delhi, India. 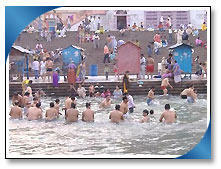 We are a leading Service Provider of Delhi - Haridwar Package Tours and Delhi - Rishikesh Package Tours from New Delhi, India. 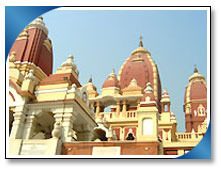 We are a leading Service Provider of Golden Triangle - Short Tour Packages and Jaipur Short Tour Package from New Delhi, India. Leading Service Provider of Pilgrimage Tour Packages, Chardham Tour Package, Do Dham Tour Package and Hemkund Sahib Tour Package Tours from New Delhi. Our range of services include Shimla Hill Station Package Tours, Manali Hill Station Package Tours, Dehradun Hill Station Package Tours and Mussoorie Hill Station Package Tours. Pioneers in the industry, we offer Vaishno Devi Package Tours, Vaishno Devi Pilgrimage Package Tours, Best Of Kashmir Tour, Kashmir The Paradise Package Tours and Ladakh With Kashmir Package Tours from India.